Dr. Azita Bahrami, D.M.D., has a passion for dentistry and provides excellent dental care for her patients. Dr. Bahrami graduated from the University of Mississippi in 1994 and has been practicing dentistry for 24 years. Dr. Bahrami prides herself on patient education and presenting the patient with all possible treatment options. Dr. Bahrami maintains professional membership in the American Dental Association and Georgia Dental Association.She is also a member of the Academy of Cosmetic Dentistry. She also attends several continuing education seminars annually with staff to keep up with the latest trends and developments in dentistry. 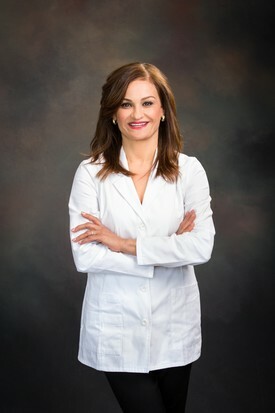 When not practicing dentistry, Dr. Bahrami spends time with her two sons and her husband, a professor at Georgia Institute of Technology.